Better, faster, lasting longer… your portable oxygen system. Don’t we deserve it? I recently received this comment below about an issue that many… I mean many oxygen users feeling strongly about. Only an oxygen user who uses portable oxygen knows exactly how difficult it is to be active while lugging any form of portable oxygen. What if there was a way to make these portables lighter and longer lasting? Why isn’t there already any available? Sure, there are the battery powered oxygen concentrators but those batteries don’t last very long and they take a while to recharge. Do we really want to carry around multiple bulky batteries when a battery can be made lighter, smaller and last longer? What can we, as an oxygen using community, do to further the battery technology and portable systems to become more beneficial for us so that we can lead a more active lifestyle? Bill wrote this in hopes that we could raise awareness for this much-needed help from the tech world. “I’m suffering from health issues and I feel like there is some uniquely innovative person who could help. I don’t want money and I really do not want sympathy. I want help solving a special problem….oxygen. 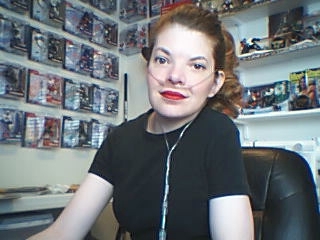 Three years ago I had a health event and since then have required a modest flow of oxygen. Before this I was largely unaware of what it meant to carry a portable oxygen system around. Suddenly, through necessity, I personally became aware of the challenges I faced using these systems. I, like many others, need to carry some form of oxygen with me every moment of every day. What baffles me the most is that at a time when you’re feeling weaker because of your oxygen deficiency, you’re now saddled with carrying a significant extra weight. There is an array of systems available, but they are all heavy and clumsy. It makes getting around for everyday tasks even harder. I was also surprised at the large number of people using these systems as well as the many that cannot afford help and just suffer silently. Excessively heavy, and inconsistently reliable power supplies are only a few of the major problems. When combined with clumsy delivery systems it makes for a real challenge. I have admired the way some have attack problems and find new solutions. I would like someone to take the ball and find a solution to this problem. I know that it would be a great benefit to many people and you’d be giving life and freedom to those of us that are suffering. We need innovation in attacking this problem. Many people are still using the archaic e-cylinder metal tanks for their portable oxygen system. We, as the oxygen users who are already challenged with our illness, want our independence. Struggling with bulky, heavy portable equipment that may only give us only hours of oxygen does not promote a quality life. It’s frustrating to have to rely on oxygen equipment that could be so much better. If you know of someone who you can pass this message on to and help solve this problem, you would be helping many people obtain a quality of life they deserve. This is achievable. Pin this, Facebook this, and Twitter this post. Let’s get this out there. I am opening this post up for your comments, suggestions, ideas, and ways that we can raise awareness for the need of better portable oxygen delivery systems and lightweight, longer-lasting batteries for portable oxygen. If people can create a computer in a garage, why can’t someone create a better battery for a better oxygen delivery system? Let’s do this for ourselves and better our lives. I’ve often wondered what my parents went through while raising me and dealing with my health problems. I had a challenging, but happy, childhood… but how difficult was it for them? So, I asked one of my parents what it was like. I grew up during the first 8 years of my life with my biological father. After my parents divorced, my step-father came into my life within the same year. Life was so different. I became a very stubborn and bullheaded child. haha! My step-father, who I look to as a father-figure even though he is no longer married to my mother, stepped in and took charge of my health. For that, I will always be grateful. So, I asked him a series of questions in an interview style in hopes to help other parents out there who have a child with disabilities. Q. At the first moment you met me and noticed something was different about me, what did you think? A. Having some idea medically about your condition, I thought of the many reasons that I had decided not to have children of my own because of my own problems and how little the quality of your life must be!! !I was told you would not live beyond 12 or 13 years of age and at the time, I actually thought of that as a blessing! Q. What made you want to step in and take control of my health problems by taking me to doctor appointments? A. I began to see you in a different light as I realized you were a special person who had a lot of spirit and I just fell in love with you…Certainly, your problems seemed insurmountable, but you weren’t afraid to fight for your life, I realized just how wonderful you really were and if you could face death with so much against you, then how could I not stand with you too!! I knew just enough about medicine to see a path to help overcome some of your major problems and besides you were a willing guinea pig and fearless!!! Q. How did you cope with the challenges of the doctors and what they want to do for me? A. If the term, “ nothing to lose “ means anything, then in your case, we were at that point. We knew you had pulmonary hypertension which was slowly killing you, so your heart doctor and I spoke of probabilities of you never coming off the table were extremely high, but the alternative was unacceptable! Granted I died a few times while you were in surgery, but you pulled us both through it. I had never faced terror like that even in Viet Nam. Q. At times when I was very sick from a surgery gone wrong and as a parent, how did you deal with the emotions that you felt? A. Actually, all your surgeries were very successful which is why you are still here, with the exception of one. I call it the “ bridge too far “ which was for all intents and purposes was almost cosmetic in nature. We had discussed how you always disliked that your scapula stuck out because of your severe scoliosis and I researched it and found a surgeon in Oklahoma who could do a “ rib resection “ that would bring your scapula down in a more normal position. This involved actually cutting out a few inches of rib from your side and all should be well. Unfortunately, the lab didn’t do a total pulmonary functions test and when you came out of surgery, you had to go on a ventilator and couldn’t breathe on your own. I blamed myself for the outcome for many years because the surgery wasn’t absolutely necessary, and I almost ended your life. I remember coming home to be with you at the hospital the mid weekend while I had been at summer camp ( National Guard ) and was dying inside because I had to fly back Sunday nite, and you were getting worse. Take “Time” to Read This..
Side Note: I am a big believer in paying it forward. This article is so inspiring and I am honored that I am permitted to post it on my blog for you to read. I hope it warms your heart as it did mine. Thank you Mr. Sarine. It was 1975 in Chicago and I was a salesman for a large computer company. I had a number of large accounts including Illinois Bell Telephone and American Can Printing Company. One day I was waiting in the American Can office pending my appointment and was watching a young man through the display window, running tapes on the computer system. It was a print shop and he was loading machines and then going to the command console and rapidly keying in command codes on a key panel in computer code. This fascinated me that anyone that could not only remember all the codes but key them in so rapidly. The manager I was meeting with came out and I commented to him how amazed I was at the skill of the young man. He nodded and with a quiet voice told me he had some bad news for the young man. The company was closing down the print operation and moving it to another site. He was going to have to let him go. What made it more difficult was that this young man had no education and was the support for his entire family. His father had died and he had his mother and three siblings to support. He said he always came in early worked late and never complained. Later that day I was meeting with the Comptroller of Illinois Bell and on a whim asked if they had any affirmative action difficulties. He immediately got serious and said one of his greatest challenges was finding qualified people with technical skills. I told him about Petro. He indicated he would like to speak to him and asked me to set up an interview. We set a time for the following day. I called his boss and arranged to meet Petro at his office early so I could give him some briefing. The next day when I met Petro I immediately decided that Jeans and worn sneakers were not the appropriate attire for an interview. We went to Marshall Field’s Bargain basement, fit him out with a suit, shirt, tie new shoes etc. he felt very uncomfortable so I decided to give him a pep talk. When I was starting in business one of my first mentors pulled me aside and gave me a watch. It was a simple Timex but the words he said always stayed with me. I never will forget that look as he stared at the watch. I dropped him at the reception desk and with shaking legs he walked into the interview. Over an hour later he emerged with a glow in his eyes. Smiling he said he got the job. I lost touch with Petro over the years but heard he was doing well. I moved on to North Carolina and 30 years passed. Now I was running a company in the east and distributing electronics nationally. Attending a trade show in San Diego I had a very hectic schedule of booth operations, press conferences and committee meetings. Tired and exhausted on the third day I was taking a break with my 3rd cup of coffee when a well dressed gentleman approached me ￼and said; “are you Mr. Sarine formerly from Chicago?” I nodded yes and then he dropped the bomb. “You may not remember me but I used to be called Petro. I am now Peter and I hoped I would have the chance to meet you again.” I guess I showed my shock. He explained that he had been given an opportunity to finish his education and in fact had a master’s degree from Northwestern and was now on the staff of ATT Headquarters in NJ. He was married with 2 children and a fine life. We planned to have dinner that night. At dinner he stated he had a gift for me and handed me a box. In it was a new watch. Included was a note that will always be sacred to me. “This is your new clock to replace the one you gave me. I am sorry I cannot return the original as I have already passed it on to another with your words. May it serve others as it did me. Since then I have made it a practice to always have a spare watch available to pass on when needed. The price of the watch is not relevant. It is the use of time that is. William Sarine, Vice President of Business Development at Beachglass Films has been a founder of both commercial and non profit companies. He has experience in strategic marketing and was a founder of a number of companies including EntreDot, a non-profit organization focused on mentoring and coaching small early stage companies. He founded a number of companies such as Global Data Networking Systems, Inc, a successful sales and consulting firm. He has experience in all stages of corporate leadership and has worked with all levels of corporate management. He has been a CEO, VP of Sales and Marketing, a national sales manager and a product manager for both large and small companies. He developed the “10/40 Sales Management Program”, a premier time management and motivational tool. He has been invited to speak on emerging technologies and evolving products at executive sessions at a number of firms including BellSouth, RJ Reynolds and FedEx. William was previously a guest instructor for the University of South Carolina’s NetGen CIO Academy. Bill has a degree in marketing from Farleigh Dickenson University with additional studies at Fordham University. Additional experiences include participating in a trade delegation to Canada sponsored by the US Dept of Commerce and the Canadian Commercial Attaché Board and being a member of NC Idea Lab, a non profit organization focused on generating new business concepts for prelaunch companies.